A World of Training, Online. Convenient and Compelling. There’s long been a need for high quality, interactive training that busy people can experience conveniently—whenever they want, wherever they are. Planet Freedom is the solution. We combine 25+ years of workshop teaching experience with the best minds in web and mobile technology, to deliver bite-sized videos on your smart phone, tablet or computer. You will learn how to train your memory to recall the most important information to your life and business, how to set and accomplish your goals, how to be efficient and effective with your time, and so much more. Why Do You Need To Join? People Ready to Know Their Full Potential. People Like You. If you feel there is potential inside of you that is locked up. If you feel tired of the status quo and know you deserve better results. If you are ready for real change and believe that there must be a better way. If you have a busy schedule and don’t have the flexibility to travel or take time off for live seminars—but know you have a few minutes each day to invest in your own development. If you’re ready to learn what’s inside you, you too are ready to join the Planet Freedom Community. It’s a lot more than just memory training! Learn how to train your memory and recall the most important information to your life, how to set and accomplish goals, how to be efficient and effective with your time, and so much more. Planet Freedom combines more than 25 years of workshop teaching experience with the best minds in web and mobile technology, to deliver bite-sized videos on your smart phone, tablet or computer. Harness the full power of your on mind in just a few minutes each day. If you’re ready for real change and believe that change is possible if you could just harness the full power of your mind, but your busy schedule doesn’t allow you to travel or take time off for seminars. Planet Freedom is the answer. With the right tools you only need to invest a few minutes into your personal development each day to see real improvement. 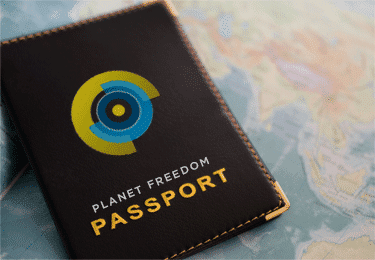 If you’re ready to learn what’s inside you, you’re ready to join the Planet Freedom Community. For people who are ready to know their full potential. People like you? Are you ready? and find out what’s stopping you. Don’t believe the myth – fashion isn’t just about the clothing. We scout out top looks and investigate how this year’s best dressed are accessorising. Not sure what to wear this summer? We analyse the most in-demand looks of the year and how to achieve them on a high street budget. From New York to London. We ask top fashion designers what they think of this year’s most controversial new fashion trends.